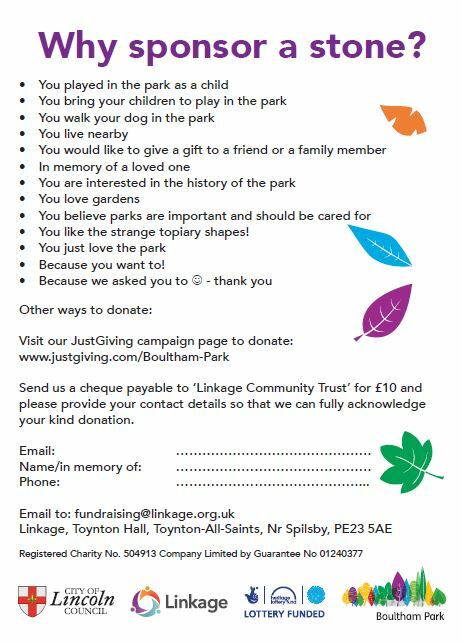 Sponsor a Stone – from just £10 each. 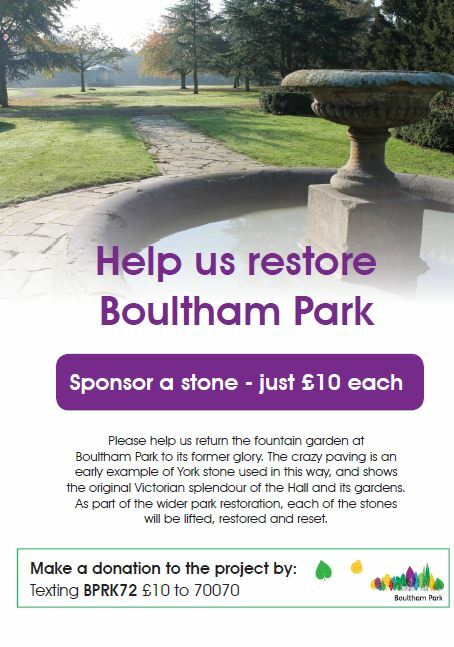 Please help us to return the fountain garden at Boultham Park to its former glory. The crazy paving is an early example of York stone used in this way, and shows the original Victorian splendour of the Hall and its gardens. As part of the wider park restoration, each of the stones will be lifted, restored and reset. You can donate online via JustGiving or by text (please see above for the web link and text details). Alternatively, you can send a cheque, made payable to Linkage Community Trust (address below). Please provide your contact details, and any additional details such as the individual you are celebrating / commemorating, so that we can fully acknowledge your kind donation. 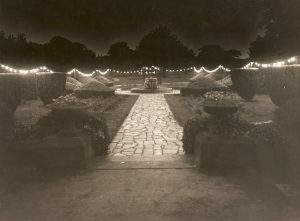 illuminated for Queen Elizabeth II’s accession. Up and Up For Boultham Park in 2017 Complete Our Café Survey And Win!